The Ribcor series has always been for dedicated hockey players that expect the best from their gear. The Ribcor 66K is no exception. 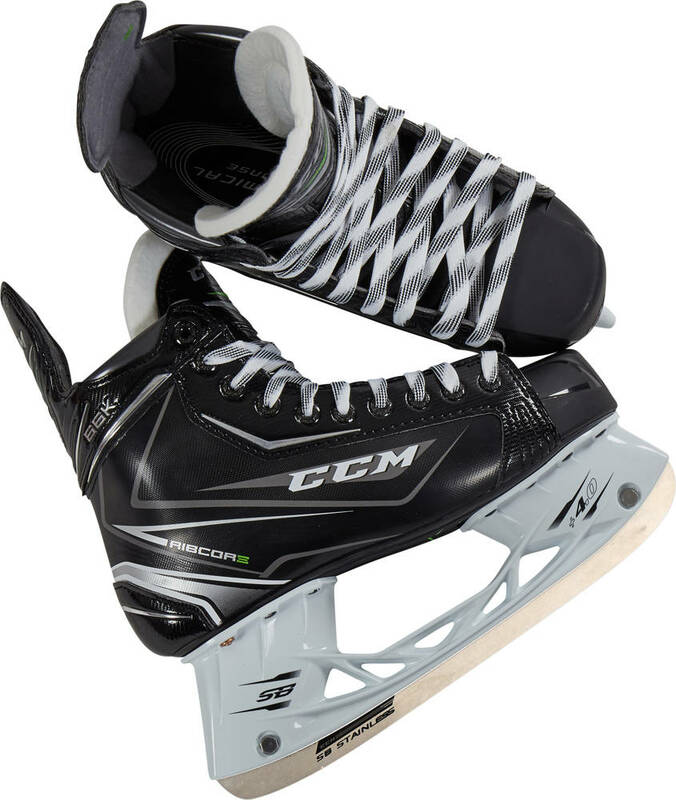 With a strong focus on the stride optimising properties and with the vast experience from the CCM hockey team you are sure to get a skate that will meet the demands of any level of player. The key feature is the Ribcor quarter, which provides enhanced forward flexion and durability. The tongue of the Ribcor 66K ice hockey skates is a two-piece high-density felt construction with great comfort and fit. The outsole is made from injected plastic and is ventilated for a lighter boot with great airflow. 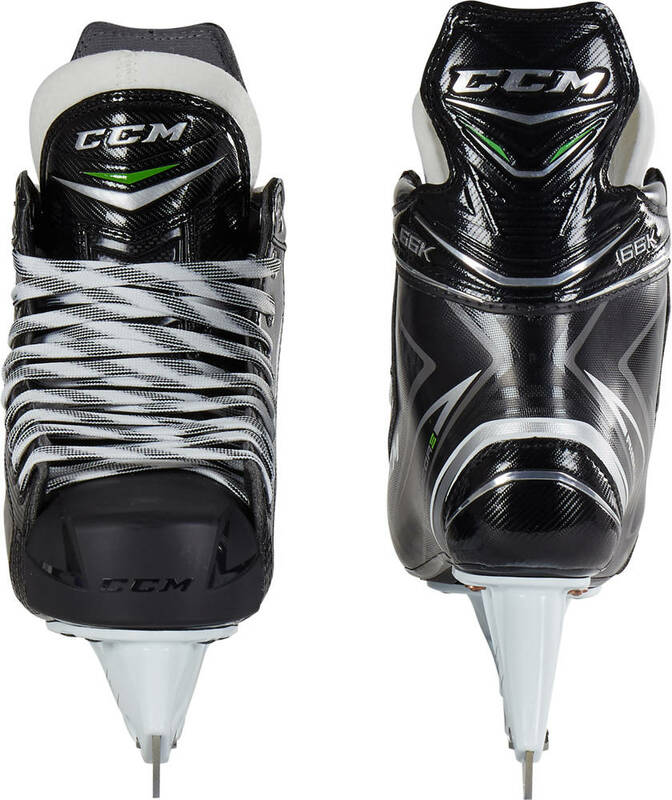 The CCM anatomical footbed makes sure you get the best out of your power transfers every time. Thanks to the use of the SpeedBlade 4.0 holder you get an even more finely tuned power transfer. This holder also yields a very aggressive and tight turning radius. The 66k version features a composite mesh skin quarter package which further enhances the boots structural fitness and durability. 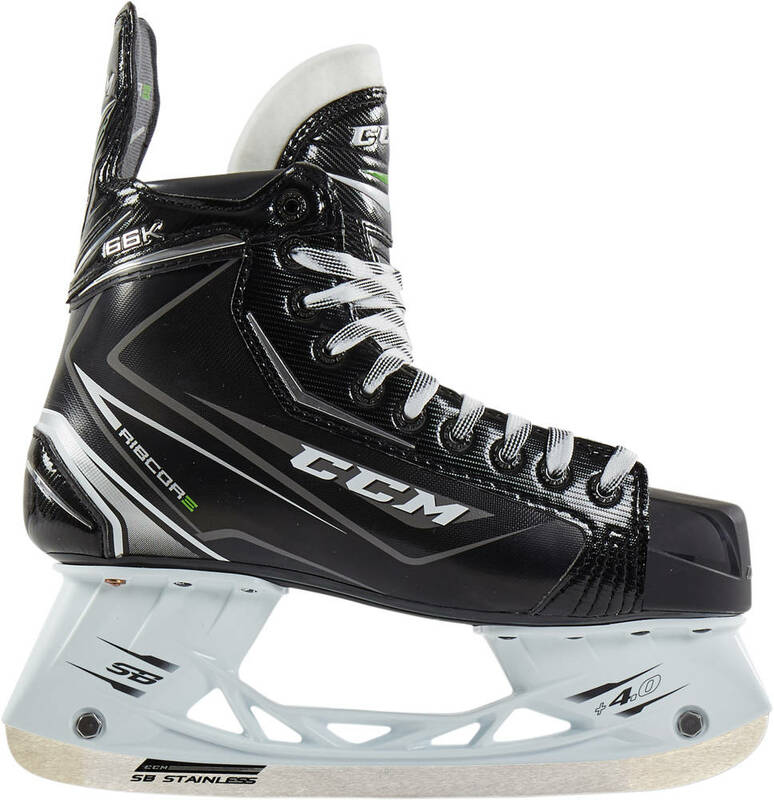 An ideal skate for people with narrow feet - probably not the skate for you if you are wider. Very comfortable, lots of support.